A Fine Kettle of Fish! 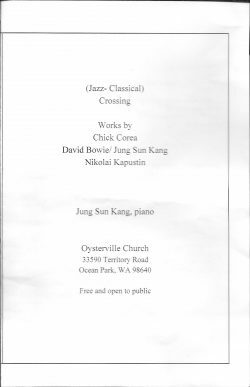 At Jung Sun Kang’s concert yesterday at the Oysterville Church (which was fabulous, by the way, and presented to a full house) I noticed a little glitch on the front of the program (which was also otherwise fabulous!) The Oysterville Church’s address was given as 33590 Territory Road, Ocean Park, 98640. “Ocean Park? 98640? Well, that’s a fine kettle of fish!” I thought. 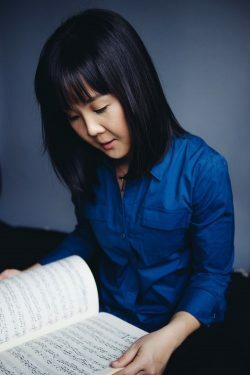 So, this morning when I learned that Jung Sun Kang had written up the program, herself, I went online to Google Search and looked up the address. That’s where I’d go if I were looking for an address in an unfamiliar area. Sure enough! “Ocean Park, WA 98640” was how it was listed! I used their suggested “Correct” option and fixed both the town and the zip code. Meanwhile, I’m thinking about “a fine kettle of fish” – the expression, that is. My friend Sue and I were talking about that one and several others that our mothers used to use – wonderful old-fashioned expressions that you don’t hear much anymore. “Feeling in fine fettle” is another. Which led me to think about words that end in “ettle.” Apparently, there are only six base words with that spelling: fettle, kettle, mettle, nettle, pettle, and settle. That next-to-last one is of Scottish derivation and means to cuddle. It should be used “with an object” said freedictionary.com. Who knew? Tax sifter for the county has the church listed as 33701 Territory Rd.